This page has a list of NJ Homeschool Co-ops and Alternative Schools. We hope that you find it very helpful. If you have a co-op/alternative school that you belong to, or run, that is not on this list, please feel free to fill out the form below and tell us a bit about it. If you would like to have your co-op to have a small description page included on our website, with more info, photos and what not, please reach out and we will be happy to do so for you! If you are an administrator of a group and would like to edit the description of your group, or would like your Co-op removed from this list, just let us know. Alright, without further ado, here is the list of NJ Homeschool Co-ops that we are familiar with. You can also check out the map, to find those co-ops closest to you. Some of these co-ops charge a nominal fee, while others (especially those that meet many days a week) charge quite a bit more. Many of these co-ops and schools are also at their full capacity and have a waiting list. The best way is to reach out and ask questions to find out more! This meets on Wednesdays in Edison on a weekly basis. They are a secular co-op, parent participation is a must, and one or more of the kids have to meet a minimal age requirement (5 years old). The link is a Facebook group where you can find out more information. This co-op is located in Dunellen. They meet regularly on Fridays during the school year once a week. There is more info on their website. E-cubed is a teen led group that meets once a week in Princeton. It is a teen group, so only kids 13 and up. There is quite a bit of information on their website. They do have a waiting list and it takes a while to get in, so if you have a kid on a precipice of being a teenager, you might want to reach out and ask to get on the waiting list. Located in Parsipany, NJ, and pre-k to 8th grade. There is also Somerset County Christian Homeschoolers. They meet in Bridgewater, NJ. Kids Homeschool Network meet in Hunterdon County, NJ. They meet weekly on Thursday and Friday. The activities are designed for kids 5 and older, though younger siblings are welcome. 9. Harmony Homeschoolers and Education Elsewhere. Harmony Homeschoolers was formed in 2014. While they are undergoing some changes this summer, you can always reach out using ‘contact us’ and find out more. Starting this year, in the same location as Harmony Homeschoolers, in Farmingdale, NJ, there will be various classes for middle-school and high-school aged kids being offered by a wonderful teacher! At this time there is History, Science Lab, English, and Math Workshop, and quite a few more. Check them out right Here. Princeton Learning Cooperative is a school alternative learning center, located in Princeton, NJ. As a matter of fact, it is the same location as E-cubed. It’s a teen group. They meet on Monday, Tuesday, Thursday and Friday during the school year. Voyagers is another alternative education school. There is a lot of information about them on their website. They are located in Eatontown, NJ. Mosaic Free School is back on for the 2019-2020 year, so be sure to check out all the new offerings on their website. The Kaleidoscope Cooperative for Science and Math focuses on, you guessed it, science and math. According to their website, it is a private enrichment program specializing in STEAM (science, technology, engineering, art and math). The program runs for 32 weeks, and is taught by volunteer parents. This is the description from their website: “The Stone Hill Learning Center (SHLC), established in 1984 as Westerly Road Church Learning Center, is an academic enrichment program for homeschooled students, grades K-12.” It is located at Stone Hill Church of Princeton. The classes are run on Tuesdays and Wednesdays from 9:30 to 3:00 pm. More information can be found by clicking on the name to go to their website! Located in Columbia, NJ. Here is a short description from their website: “Knowlton Fine Arts is a Christian non-denominational homeschool group drawing participating families from across Northern New Jersey and Northeast Pennsylvania. We exist to develop excellence in arts and music in our children, and to be a vibrant community for children and parents alike in friendship, encouragement, and sharing in the important and rewarding job of homeschooling.” They have a variety of classes available, with a focus on music, drama and fine arts. 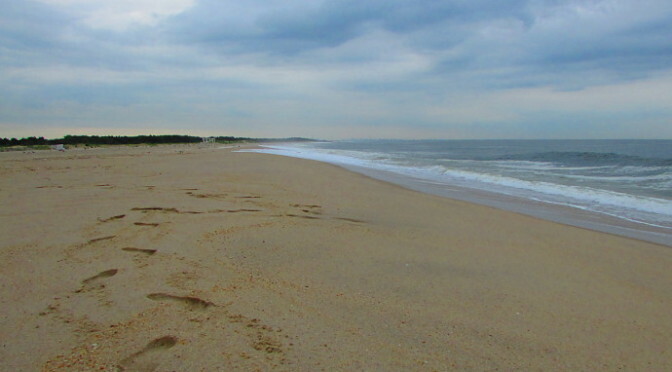 This co-op is located in Hopewell, NJ. For children aged 0 to 15, they meet weekly every Tuesday from September to May. “Our co-op is designed to provide a fun, relaxed, and nurturing environment for children to pursue, explore, and discover their passions alongside peers and with the guidance of their parents.” You can use their website to contact them and find out more information. It is a secular co-op. Bright Co-op is located in Netcong NJ. It is an academic co-op with classes spanning PreK – 12th. The co-op meets on Fridays from Sept – May. For families looking to participate: you have to commit to a full school year, willingness to teach and participate as an active member of the co-op, there is a statement of faith requirement for at least one parent. Here is our awesome map to help you navigate and find your way. Do you have a great co-op that you love in NJ? Let us know in the comments. Hi Angela, I will send you an email. You could leave a comment here in the meantime, or just reply to my email with information, and I will add it to the list. My name is Jessica and I am from FOCUS Children’s Therapy Center located in Tenafly, NJ. We have a great program launching in the Fall and I think it would be great for parents that home school their children! We have a Fitness Program, Art, Yoga, and much more! Is there a way I can share on your page our programs? If so, I’d love to share what we have. I look forward to hearing from you! Thank you! Hi Jessica! Thank you so much for reaching out! Currently, I am having some technical difficulties here, at thehappyhomeschooler. I am working on resolving them, and will get back to you shortly. I would be interested I live close to tenafly. And homeschool 3 children. From 7 years old to 15. Thanks so much for adding Aquinas! Hi. We are a family that homeschool my daughter is 7 years old she would like to meet other homeschool children we arein Eatowntown new jersy. Unfortunately, I am located in North Jersey. 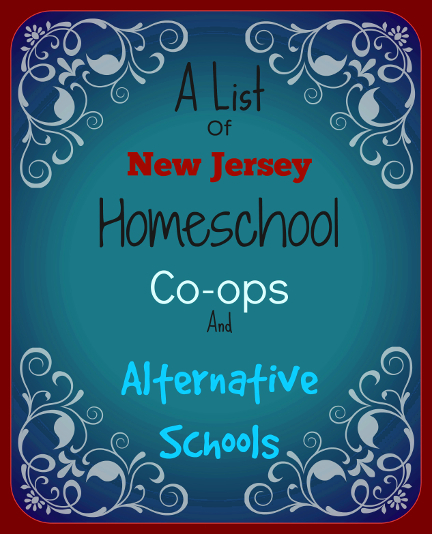 You could check out our list of co-ops and see if there is one close to where you live (http://www.thehappyhomeschooler.com/nj-homeschool-coops-and-alternative-schools/), or you could ask in one of the Facebook groups: https://www.facebook.com/groups/NJHSHO/ or this one: https://www.facebook.com/groups/148230255222432/ Good luck! We are the Hubiere Family and we live in Bloomfield NJ. Our kids are 14 and 10 (both boys). This is our second year homeschooling and we are hoping to connect with other families for activities and socialization opportunities. We are looking for a coop in northern ni. I’m not sure if I already wrote this, but Aquinas Learning is still active! We’ve moved to Tewksbury, but we’re still here, still Classical and Catholic. Hi Nicole, Thank you for reaching out and letting me know! I took an internet break for the holidays and just saw your comment. Thank you for your patience! I will update. Hello! I’m located in Milltown, NJ and considering homeschooling our two children 3 and 6yrs. Looking for other families in my area for advice and help getting started if that’s what we end up doing. Thanks in advance for any help! Hi Anabela, My biggest piece of advice for getting started is to join a few online homeschooling groups for your area (such as some listed here: http://www.thehappyhomeschooler.com/nj-homeschool-online-support-groups/). Then through the groups, look for events in your area, and join in. Talk to other parents, ask questions, make friends. Then take it one step at a time. Good luck to you and your little ones! Is there anyone that could give me further information on beginning the process of homeschooling? My son is losing his self esteem due to low grades at school and has been begging me to homeschool him. I’m able to do so but have little knowledge of where to begin. Also is the any homeschooling groups in Little Egg Harbor, NJ area? Athena, I would start by looking for a few facebook groups. Here are some suggestions. http://www.thehappyhomeschooler.com/nj-homeschool-online-support-groups/. I will also shoot you an email and we can talk further.